This photo depicts a military transport helicopter “Mi-8 AMTSh” (modernised Russian “Mi-8”) located in the fields of the Rostov region, with painted-over transport number and the star ID (bad try, the star can still be seen). Ostensibly there is no reason to paint over the identification marks other then if the choppers are flying to Ukraine to support transferred to the Donbass Russian troops. The first photo shows the helicopter in Myasnikovsky district of Rostov region, the second shows the geotag, the third shows how the standard “Mi-8AMTSh” looks like with the ID mark and the tail number. Take note of the person posing in front of the chopper and dressed in the Russian “flora”-type old-style uniform so loved by the Donbas terrorists. Just a week ago, a pair of combat helicopters “Ka-52” with red colour tail numbers “55” and “53” was seen in about the same area of the Rostov region; the choppers were identified as those from the 393rd airbase OF Russian Army aviation stationed in Korenovsk village of Krasnodar Krai of the Russian Federation (for details follow the link). 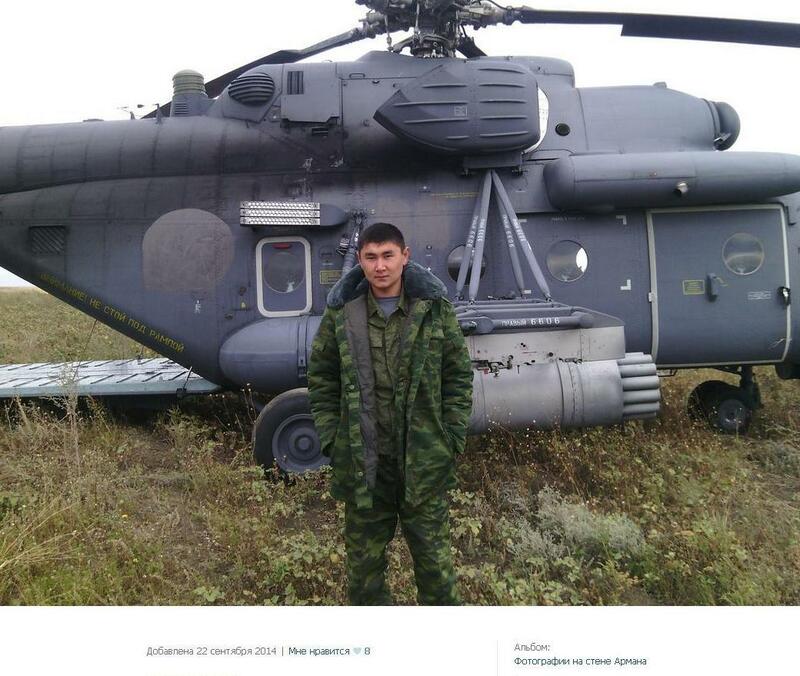 The same photo shows “Mi-8” in the background, presumably from the same combat unit (or the same chopper).